Who says it has to be love at first sight? Jessica Campbell was just your average girl at Midtown High school with a crush on Peter Parker before he became Spider-man. On the same day he was bitten by a radioactive spider her parents met in an accident with a truck carrying radioactive waste. They died and she was put in a coma. 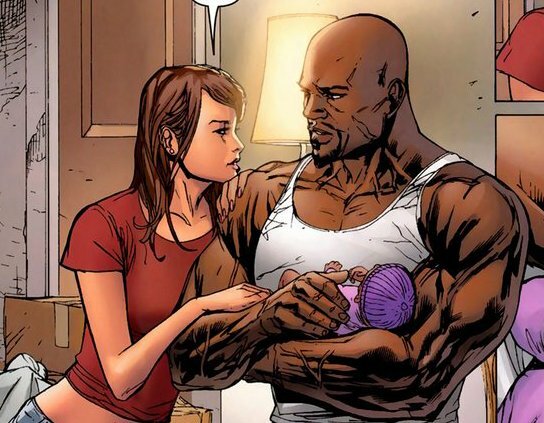 She was then adopted by the Jones family and never had a chance to date Peter Parker. Once her powers arose she became the superhero Jewel and was taken over by the Purple man who had the power of mind controle. Once she was free she quit heroics and opened a detective agency. It was here that she met Luke Cage the street smart brawler with whom she shared a few adventures and a drunken one night stand. Once she discovered she was pregnant they decided to move in together for the child’s sake and surprisingly fell in love. 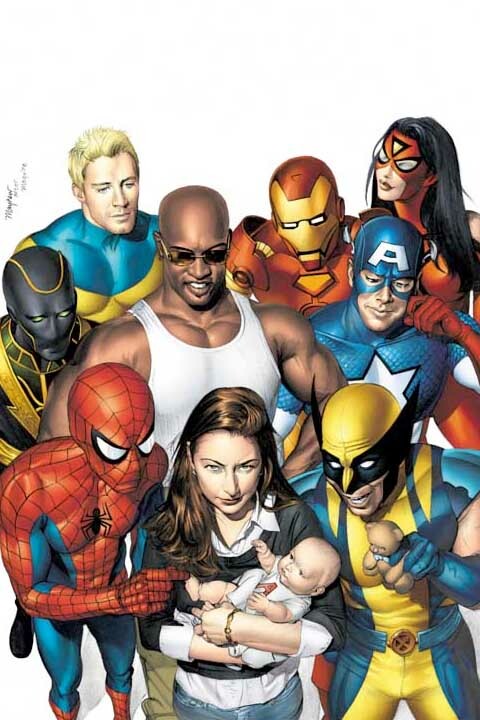 Her pregnancy found them battling a time lost Kang and clashing and mentoring the young avengers. When Luke joined Captain America’s new avengers however Luke proposed and they married in a grand wedding attended by many heroes. Civil war found her leaving her husband to fight for his rights as she took their child and journeyed to Canada. At the end of the ordeal she joined him in hiding from the law and their one time friends when registration of superpowers was mandated by law. The Skrull invasion found her baby kidnapped though they got her back thanks to Norman Osborn. During dark reign she briefly returned to the cape to save Hawkeye. 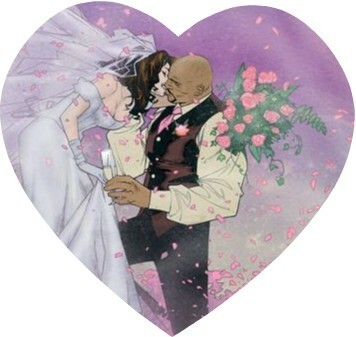 In recent times Luke and Jessica now own the old avengers mansion and her husband leads the team. She will now return to active duty as Power woman the dutiful wife of Powerman. ← X-men First Class is in Synch!!!! 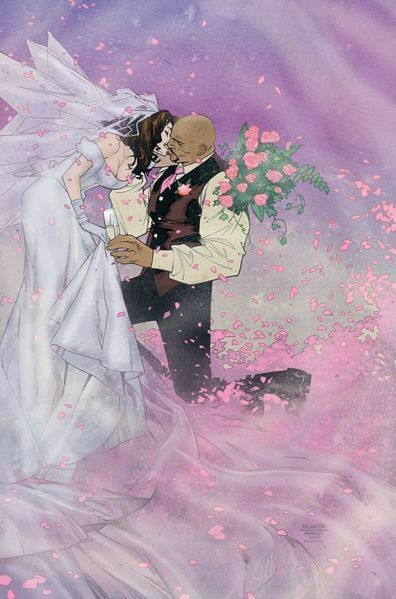 Don’t care what the critics say these two are a good couple and I’m glad at least one superhero in Marvel is happily married.